Four yet - to - be identified staff of the Independent National Electoral Commission in Bauchi State have been kidnapped by armed men. 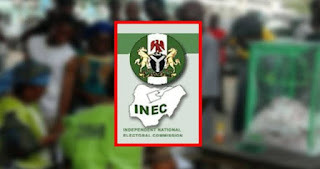 As of the time of this report , the issue has caused tension among INEC staff and residents who were seen discussing the issue in hushed voices. A staff of INEC , who escaped said the armed security operatives came in seven Toyota Hilux vans . According to him , the abducted staff were taken away with voting materials. Calls to the Head of Department of Voter Education and Publicity in Bauchi office of INEC , Ahmed Waziri for reaction were not replied. Calls to the spokesperson for the Bauchi State Police Command , Kamal Datti Abubakar , were also not responded to.